Norway prides itself on its economic independence and always boasts that it has its fish and its oil and is financially solvent for years to come. Pioneer is a Norwegian film by Erik Skjoldbjærg that looks into just how Norway got its oil and the subject is pretty fishy. The technology to build a pipeline came from the USA and in this film the clandestine operations that were behind the creation of a pipeline in the Norwegian sea are taken to task. Set in the 80’s, Norwegian deep sea divers embark on a mission to install a gas pipe. This involves time in a real-life decompression chamber on an oil rig. The film centers on Petter (Aksel Hennie) and his brother Knut André Eriksen) who risk their lives to discover oil for Norway. The cinematography evokes the time period with its grainy almost yellow film stock and the film has the dramatic form of a thiller, although based on a real life story. While in the compression chamber, an accident occurs and Petter is relentless in getting to the bottom of the story. Five Norwegians lost their lives onboard the drilling rig 'Byford Dolphin ' as the result of decompression explosion. The rig was contracted by British Petroleum. Just how this accident happened it taken to task in Pioneer. 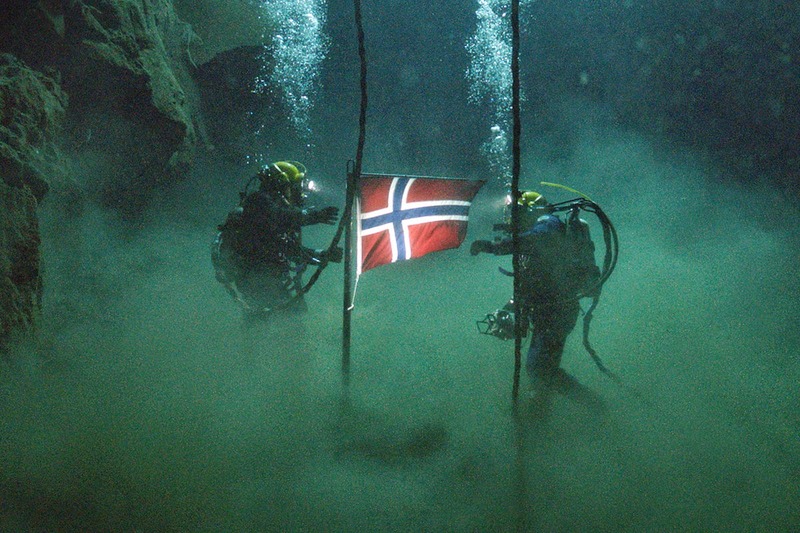 In real life the families of divers took this case to court in Norway and were awarded compensation due to faulty equipment in the operations. There are two roles for women that come across as very B-like and stagey in comparison to the parts for men – Knut’s wife, Maria of Mexican descent is exoticized (STEPHANIE SIGMAN ) and the wooden ANE DAHL TORP as PIA who works on the oil rig and wants to know how much Petter know about the fatal accident in decompression chamber. Skjoldbjaerg may have had a hit on his hand but now Sony Pictures is in negotiations to pick up the remake rights for an adaptation to be produced by George Clooney and Grant Heslov. Really interesting review, Moira! Hope you've been well. After this they start spending their whole time on thinking at this matter seriously that how they would able to get rid of this stupid machine forever.